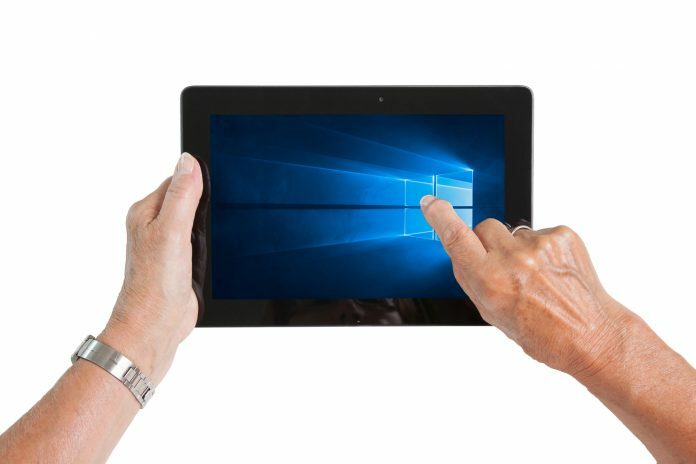 Users seeking an elegant and powerful mobile device should consider a Microsoft tablet. 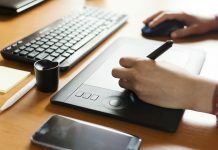 We rank the current series of Surface devices in addition to the best tablets and convertible tablet-laptop designs that run Windows 10 and are made by other manufacturers. 1. What is a Microsoft tablet? Microsoft manufactures tablets and many mobile devices that run the Microsoft Windows 10 operating system. 2. What do Microsoft tablets do? Microsoft excels at making powerful tablets with laptop-caliber specifications. 3. How does a Microsoft tablet work? Microsoft tablets feature touchscreens and support keyboard input. 4. Where can you buy Microsoft tablets? 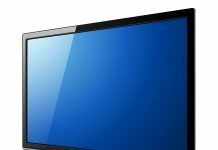 Purchase a tablet directly from the manufacturer, an electronics retailer, or an online marketplace. We compared features, overall value, and customer reviews to generate an unbiased ranking. Our top-ranked tablet is the new Surface Go. Other models are distinguished by functionality. The Surface Go is the newest Microsoft tablet. This ultra-portable model has a 10-inch display, Intel 4415Y processor, and either 4GB of RAM and 64GB of storage or 8GB RAM and a 128GB hard drive. The Go also features an 8MP rear camera, 5MP front camera, 2W Dolby Audio Premium stereo speakers, and a microphone. 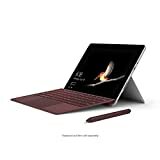 Purchase the Microsoft Surface Go directly from the manufacturer or an electronics retailer. Microsoft provides a one-year limited hardware warranty on tablets. The Surface Pro 4 is a tablet with laptop-grade hardware. Choose from an Intel m3, i5, or i7 processor, as well as a range of RAM and solid-state drive options. The most affordable Surface Pro 4 runs on an Intel Core m3 and 4GB of RAM with a 128GB hard drive. Mid-range i5 models come with 8GB of RAM and either 128GB or 256GB of storage. The Pro 4 is available with an i7 and either 8GB or 16GB of RAM and a 256GB, 512GB, or 1TB hard drive. Order the Surface Pro 4 directly from Microsoft. Other authorized online retailers also carry this model but tend to offer fewer customization options. The Pro 4 comes with a one-year limited warranty. The Surface Book functions as a tablet or ultra-portable laptop. Choose from a seventh-generation Intel Core i5-7300U or i7-8650U quad-core processor. The i5 model is available with 8GB of RAM, 128GB of storage, and an integrated Intel HD Graphics 620 GPU. The i7 version comes with either 8GB of RAM and an NVIDIA GeForce GTX 1050 GPU or 16GB RAM and a GTX 1060 GPU. 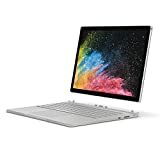 Order a Surface Book 2 directly from Microsoft or an authorized retailer. The Microsoft Surface Book is protected by a one-year limited hardware warranty. The Lenovo Flex 5 is a convertible device powered by either an Intel Core i5 or i7 processor that runs Windows 10. This model is available with either 8GB or 16GB of RAM. 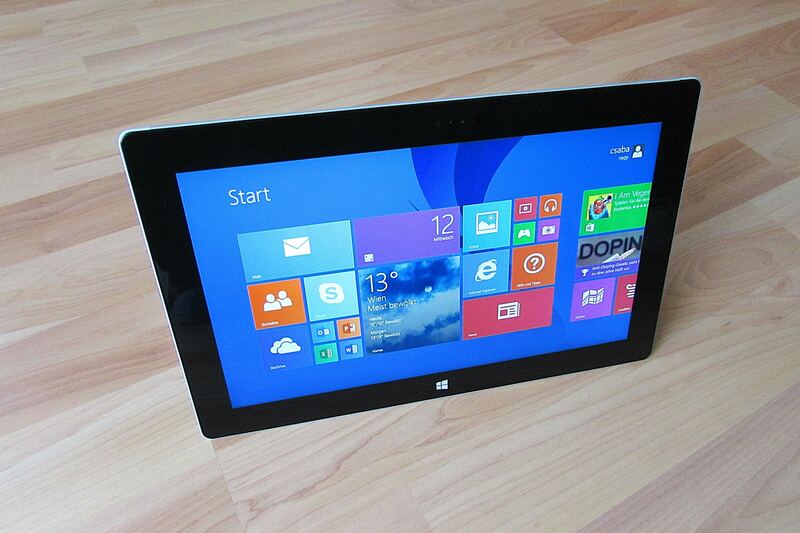 Even though this model is not a Microsoft tablet, it stands out as an innovative and affordable Windows device. Purchase the 14-inch Flex 5 from an online retailer or an electronics store. Lenovo tablets are protected by a one-year limited warranty. The ZenBook Flip by ASUS runs Windows 10 and can function as a 13.3-inch tablet or a touchscreen laptop. This device is powered by an Intel Core m3-7Y30 processor with 8GB of RAM and a 256 GB hard drive. Compare prices in online marketplaces and from electronics vendors. ASUS provides a one-year international warranty. This convertible HP device combines the benefits of a spacious 15.6-inch touchscreen with the laptop computing power of a 2.5GHz Intel Core i5-7200U processor. This model comes with 8GB of DDR4 RAM and a 128GB Solid State Drive with an additional 1TB hard drive. Order this HP tablet from the manufacturer or on a marketplace such as Amazon. HP includes a one-year warranty with new device purchases. The Microsoft Surface 3 is a standard tablet with a 10.8-inch display. This model runs on a quad-core Intel Atom x7-Z8700 processor. Order the Surface 3 with 2GB of RAM and 32GB or 64GB of storage or 4GB of RAM and a 128GB hard drive. This model is being phased out and may become difficult to buy new. 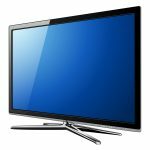 Compare prices from online electronics vendors. The Microsoft Surface 3 comes with a one-year warranty when purchased new from an authorized seller. The Acer Aspire R 15 convertible tablet-laptop has specifications users expect in a mid-range laptop and supports touch functionality. 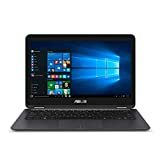 This model comes with a seventh-generation Intel Core i5-7200U processor with 8GB DDR4 memory, a one terabyte hard drive, and Windows 10 Home. You may find the lowest price on this Aspire R 15 model on Amazon. Acer devices come with a one-year limited warranty. 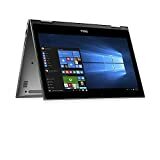 This 13.3-inch Dell Inspiron runs on an eighth-generation Intel Core i5-8250U Processor with 8GB of DDR4 RAM and supports upgrading to 16GB of memory. This tablet-laptop has a 128GB hard drive and comes pre-loaded with Microsoft Windows 10 Home 64-bit. Find the lowest prices on convertible Dell models on Amazon. Customize these models by ordering directly from the manufacturer. Dell covers this model with a limited one-year warranty. 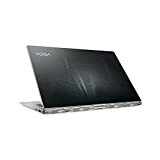 Lenovo 80Y70064US Yoga 920 (14) 2-in-1 Notebook PC, 13.9"
The Yoga 920 is a convertible device that runs Windows 10 Home on either an Intel Core i5 or advanced eighth-generation Intel Core i7-8550U processor. This model features a 13.9-inch touchscreen and comes with Lenovo's Active Pen 2 stylus. Purchase a Lenovo Yoga from Amazon for the lowest prices or directly from the manufacturer to select features and specifications. Lenovo covers convertible devices with a one-year limited warranty. The top four tablets in our ranking are manufactured by Microsoft. We rank the Surface series based on portability, versatility, and overall value. If you want to spend less on a Microsoft tablet, consider Windows 10 models from other manufacturers.